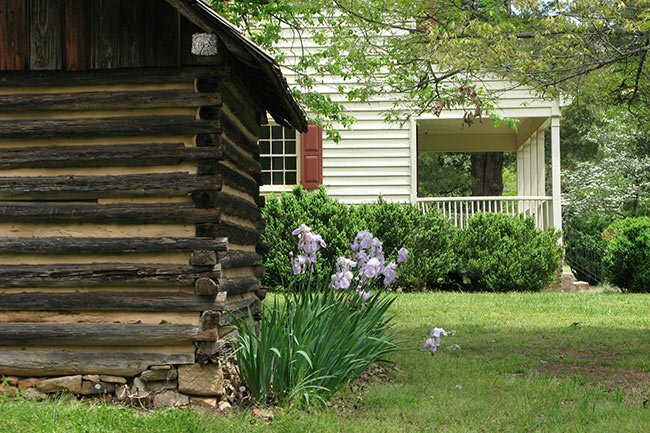 Walnut Grove Plantation in the Spartanburg County town of Roebuck allows visitors to experience the pre-Revolutionary War life of a Scots-Irish family in the South Carolina backcountry. The “backcountry” of South Carolina – now called the upstate – was primarily settled by Presbyterian immigrants from Ireland and Scotland in the eighteenth and early nineteenth centuries. One such immigrant was Charles Moore, who came to this region from Ulster in the 1750s and settled on land granted to him by King George III. 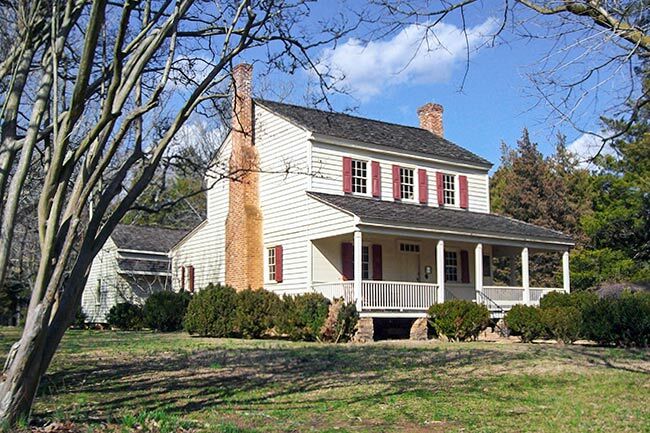 Moore built this farmhouse between 1763 and 1765, and with the help of about a dozen slaves, successfully grew corn, wheat, tobacco, and livestock on his 3,000 acres of land. The homestead stayed in the family for several generations until Moore’s descendant, Thomas Moore Craig, deeded eight acres of the property to the Spartanburg County Foundation in a trust sponsored by the Historical Association. Since then, further land donations have increased the site’s acreage to about 60. The small building pictured below is known as the Rocky Spring Academy. This school was established at Walnut Grove was established by Moore, one of two classical schools in the county, operating from 1770-1850. In 1967 the former plantation was opened to the public as a living museum, serving to teach visitors how these immigrants – and their slaves – developed this region of the Palmetto State. 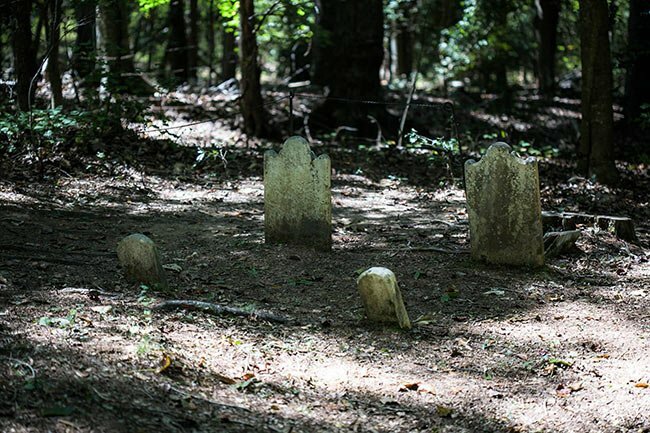 The Moore family cemetery is located a short distance from the main house. 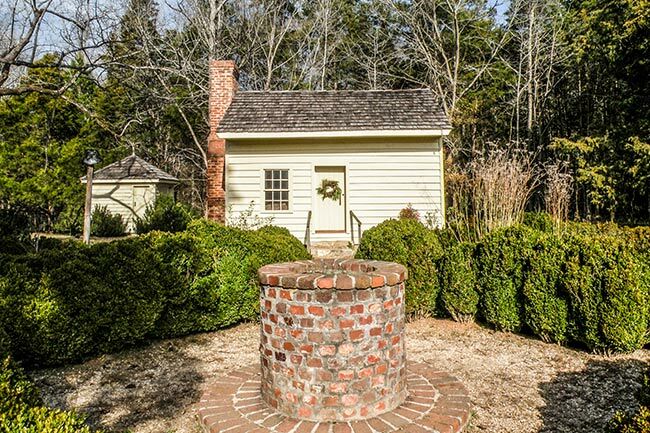 The Walnut Grove house, outbuildings, and furnishings provide a fully documented picture of life, and an example of social history, in upcountry South Carolina prior to 1830. The house itself is considered one of the finest remaining upcountry plantation houses of the period. 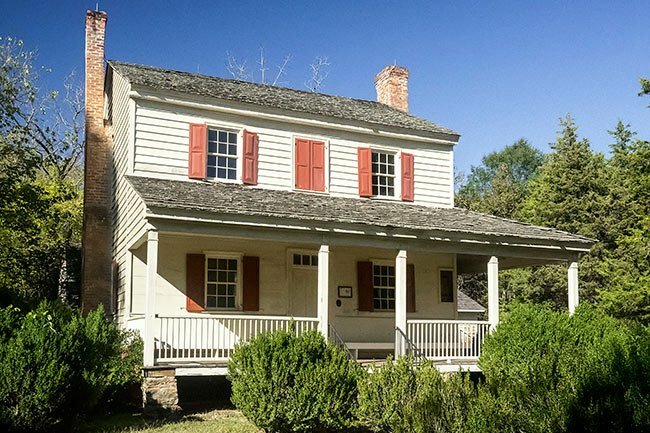 Built about 1765 by Charles Moore, a Scotch-Irish immigrant who had moved from the Middle Atlantic colonies into Piedmont South Carolina, the Walnut Grove Plantation house reflects the Scotch-Irish flow of immigration down into the Carolina upcountry, as opposed to the upward flow from the Carolina coast. Its plan and construction are in part indigenous to the Piedmont, in part influenced by rural Pennsylvania Dutch architecture. Of simple Georgian style, the two-story structure is of unchinked logs covered with clapboards. Late Queen Anne mantels, fielded paneling, and double-shouldered chimneys are among its distinctive features. 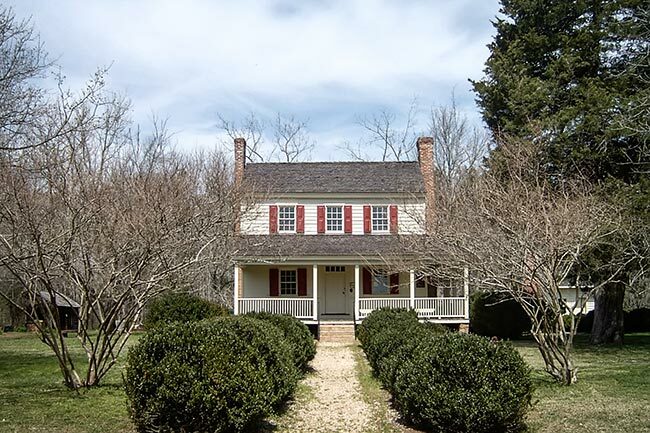 Separate outbuildings include a kitchen, built about 1777, and an academy building that doubled as a weaving room. The Rocky Spring Academy at Walnut Grove was established by Moore, one of two classical schools in the county, operating from 1770-1850. Other separate log buildings reconstructed as part of the plantation complex include a well and spring house, a work shop, a smoke house, and a blacksmith shop and forge. About 500 yards west of the main house is the Moore family cemetery. My name is Chelsea, I’m a great great granddaughter of the slave family that lived here. I will get in touch soon. I live in Chicago. I’d like to know more about my grandmother. Her name was Rachel Thorp. She was a mulatto. Hello, excellent question, we have found that these two articles are especially helpful when trying to track down records of enslaved people. They offer some more insight, hope this helps! The Walnut Plantation was owned by Dr. Andrew Thompson. After he died in 1804 his children battled for his estate. On April 24 1805 his will was probated in Spartanburg, SC. The slaves were awarded to Esther Thompson-Burton. In the information avialiable about the slaves owned? I am researching the Patterson name – a black/French/Irish/Indian family whose ancestors seemed to trace back to the Patterson Plantation of Pacolet Township, Spartanburg, SC (1870 Census). I am not having much luck so far. I will continue in my search for this family. If you have any information regarding the family and any slaves on this plantation (size? ), please contact me. I appreciate any information you may have. Thank you so much. I am interested in following up with Rachel Longstaff who contacted you on 12/26/14. Charles and Mary Moore were also my sixth great-grandparents. I have some family information from old applications to DAR. Hi, Rachel. The website for Walnut Grove Plantation is listed above the map. Hopefully, someone there will be able to answer your question. Best of luck! Charles and Mary Moore, who settled the plantation, were 6th great-grandparents of mine. I am interested to know if there is any information about the family, such as names of the children, any genealogical information on Charles or Mary. Is there an archives, or a museum, for example? Hi, Maureen. Here is a link that we hope will help you in planning your visit: http://www.spartanburghistory.org/calendar/2014/10/3/gmy2lf064gt5mu2lmsoxjh97fb09xw Best of luck! I want to visit Sat. Oct 4 for FestiFall and can’t find info on activities for the day anywhere. Please advise asap so we can plan our trip. We arrive in Charlotte, NC early morning Wednesday, Oct 1.